HandKrafted by Stephanie: SCRS August Release Day! Hello! 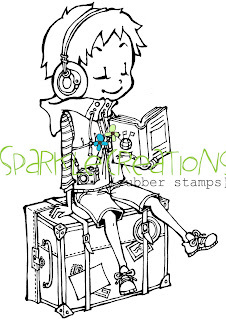 Today is the day that the Sparkle Creations Rubber Stamps August images are available for purchase in the store! Today we are showing you the third and final image, Cruisin' Chloe! My card is a little busier than my normal creations, but I had fun using a lot of layers on this one! I used Sketch Saturday #116 for my layout. I cut Chloe out of Spellbinders Long Rectangle Nestabilities, using the "out of the box" technique once again to cut out her part of her head. All 3 images that we have peeked are now available in the store! 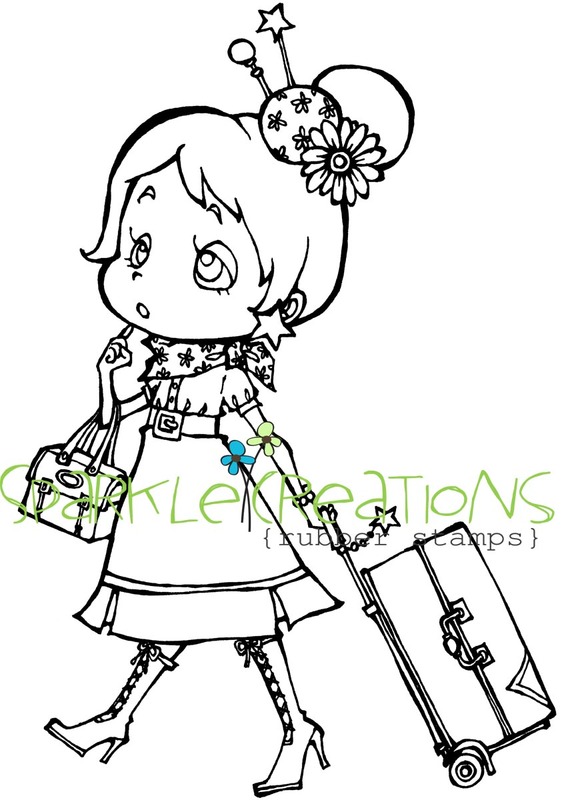 Accessories: Long Rectangle and Scalloped Long Rectangle Nestabilities (Spellbinders), Swiss Dots embossing folder (Provo Craft), Markers (Copic), Foam tape, Thread, Sewing machine. 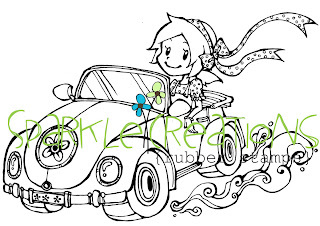 Another very sweet Cruisin' Chloe card. This is a great Sparkle release! 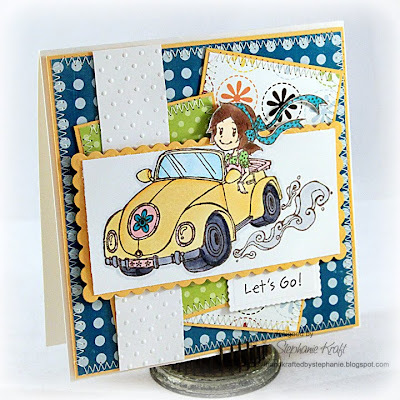 Great card, great image - Cruisin Chloe! Wowwwww, Stephanie! All that sewing is AWESOME! Really brilliant card, Stephanie - love the use of white! I can't wait until we can buy these in the UK! So stinkin' cute! Love everything about your card! Adorable card! Your stitching is so pretty with it! Adorable card! Lovely coloring and fabulous design. Beautiful Steph! I love the Suitcase Ruby stamp, but then I would, wouldn't I?!! I love the bright fun colors in this card. 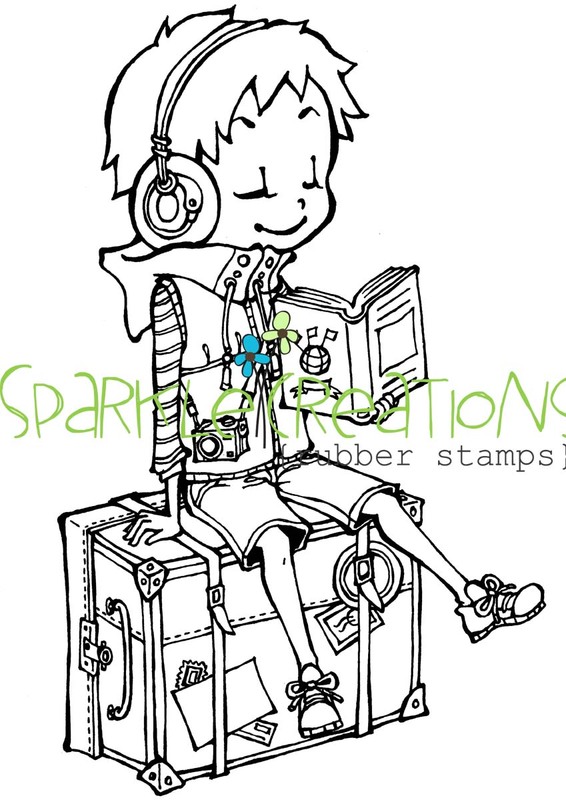 Of course the image is cute and perfectly colored too! Great job Stephanie - love the layout too. I LOVE this layout!! Amazing Stephaine!